THIRUVANANTHAPURAM: A child which had tested positive for the rare vector-borne viral infection called West Nile last week died in Kozhikode medical college in Kerala on Monday. The 7-year old boy, Muhammed Shan, belonged to Vengara in Malappuram. The virus, usually found in North America, is new to India. It is transmitted only by culex mosquito or sometimes by ticks, from birds to humans, through bite and in no other way. 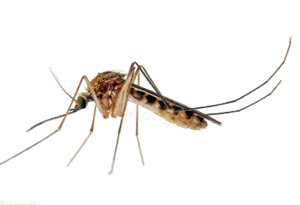 Mosquitoes become infected when they feed on infected birds. Common sumptoms are fever, headache, body aches, nausea, vomiting, skin rash and swollen lymph glands. There is no vaccine. All those who came into contact with the child, including its parents, are under watch for any symptoms. The Centre had sent medical teams from the National Centre for Disease Control to investigate the occurrence of the case and take preventive steps. The Indian Council of Medical Research was also alerted. “No need to panic. The boy was in isolation ward for last 10 days. We are on high alert and going by the protocol of the World Health Organisation,” Kerala Health Minister KK Shylaja told the press. All hospitals have been alerted. About 1 in 5 infected people develop fever and other symptoms and 1 out of 150 cases can be fatal. People over 60 years of age are at greater risk. Symptoms include high fever, headache, neck stiffness, stupor, disorientation, coma, tremors, convulsions, muscle weakness, vision loss, numbness and paralysis. Recovery from severe illness might take several weeks or months. Some effects to the central nervous system might be permanent. Over-the-counter pain relievers can be used to reduce fever and relieve some symptoms. Tests are required to confirm the infection.